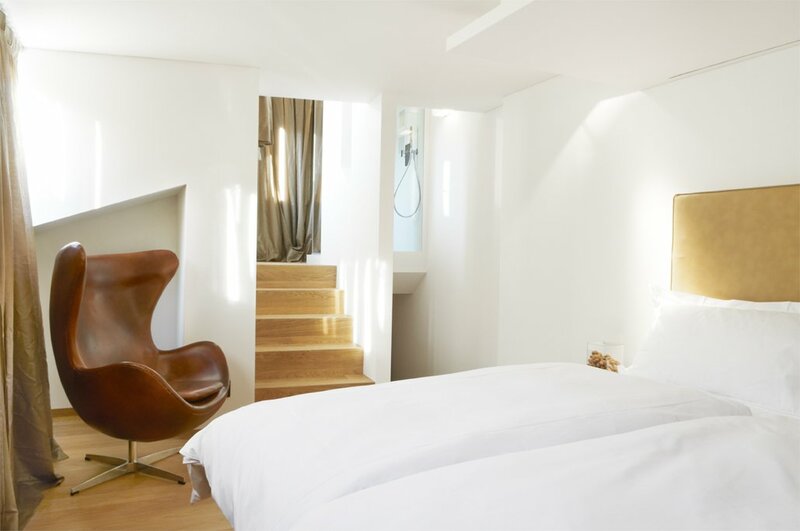 Our 4 standard rooms have a charming and contemporary design , facing the ancient courtyard and the restaurant & bar on the ground floor. 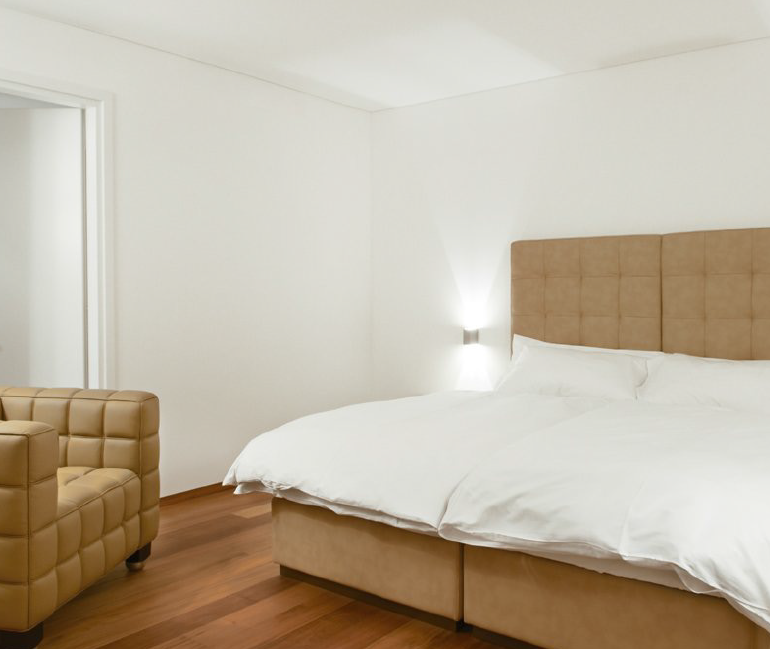 Each room is equipped with all the necessary amenities to ensure a unique and comfortable stay. This spacious room features modern interior design, décor accents and wooden elements. It is located in our twentieth century courtyard and overlooks the bar-restaurant on the ground floor. 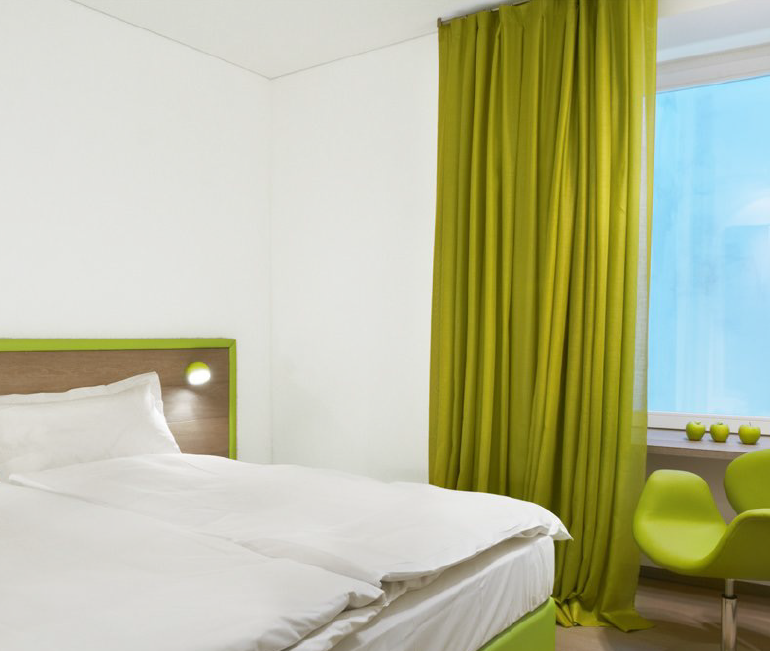 These 28 m² rooms are perfect for short vacation and business trips. Upon request, in some rooms, we can accommodate an extra bed or a cradle for baby. 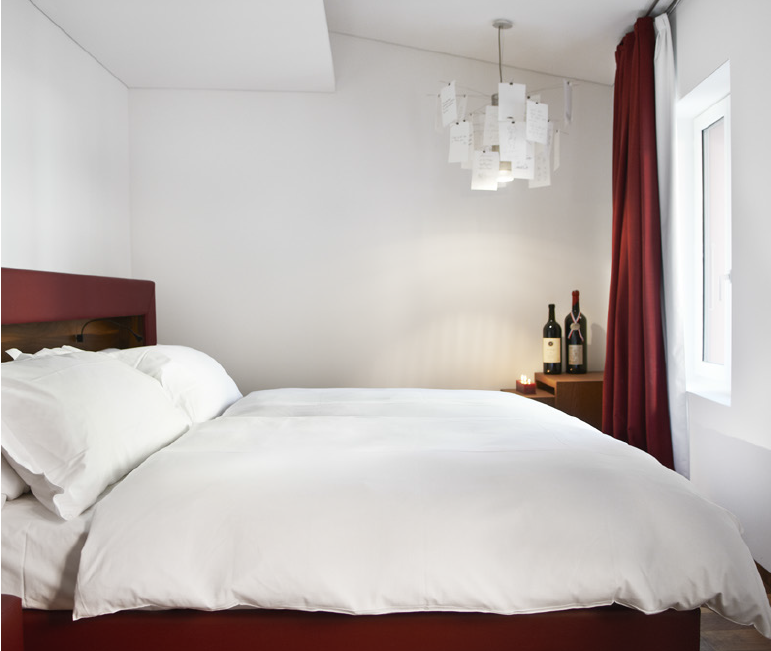 These rooms, overlooking piazza Cioccaro or via Pessina, are all equipped with bathroom complete with bathtub and shower . They are particularly attractive and romantic and with about 35-40 m² ideal for those looking for special stay. On request, in some rooms, we can add an extra bed or a cradle for baby. All different from each other, and developing themselves on different levels, the Deluxe Junior Suite are definitely our most spectacular rooms. The bathtub is included in the room beside the bed and, with an area of 32-40 m², will turn your stay into an unforgettable experience characterized by elegance and tasteful design. 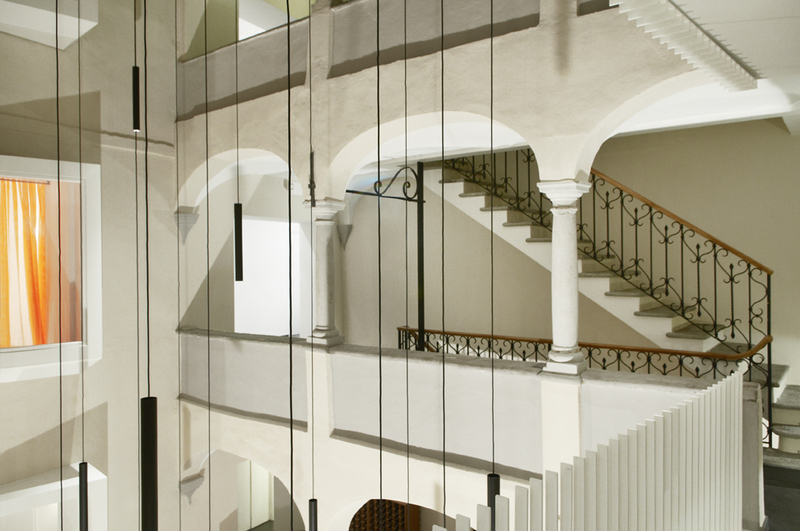 Hotel Gabbani, a unique Design Hotel in the heart of old town Lugano, opened its doors for the first time in 2012. A symbiosis between culinary and architecture is reflected in its geometry, spaciousness and furnishings, creating a tranquil, yet invigorating atmosphere. 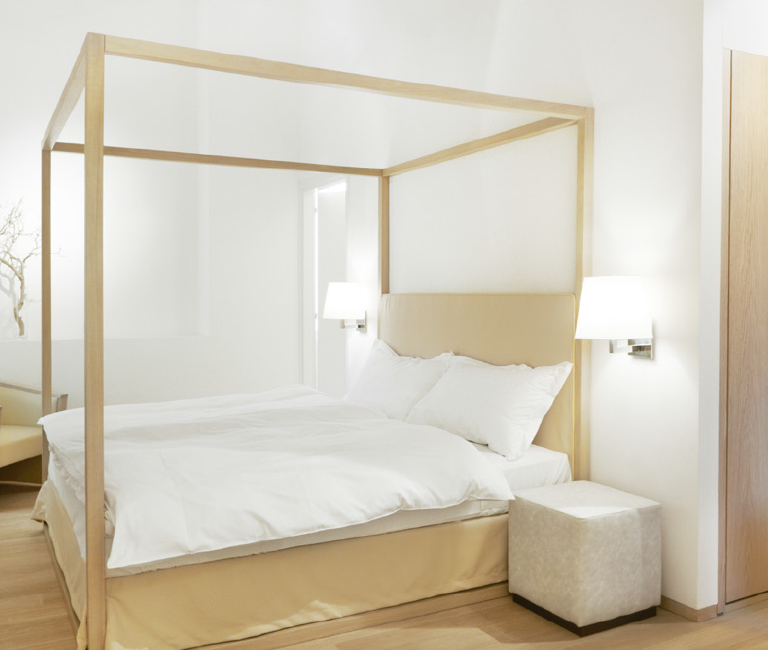 Domenico and Francesco Gabbani developed the concept for the hotel together with the Ticinese architect Sven Panzera , drawing inspiration from the colours and contours of fine food and drink. 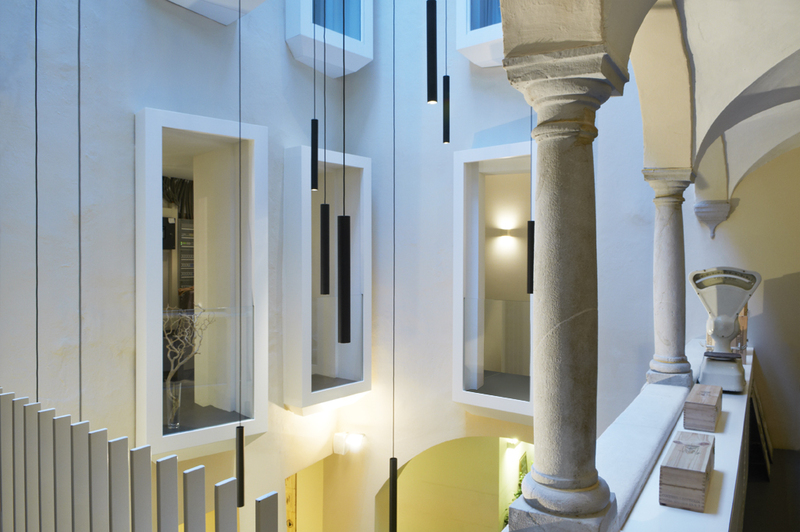 Here the present meets the past, with hotel rooms surrounding a medieval courtyard containing beautiful open arcades, part of the former convent. The central patio that hosts our fine food shops and bar on the ground floor has a delicatessen offering a wide range of specialities as well as a restaurant for gourmet delights on the first and ground floor. A fine buffet breakfast is served on the first floor, with delicious products from Ticino, with sausages, cheese, fruit and oven-fresh bread, croissants and brioche coming from our own shops. Eggs and muesli can be ordered à la carte and more pastries are available from our bakery on the ground floor ….you will be spoilt for choice. The prime location, within short walking distance to the train station and lakefront , makes our Hotel in Lugano an excellent base for excursions around beautiful Ticino, and its mountains and valleys, or across the border to Bella Italia, suitable for business travellers as well as tourists. After an eventful day or a strenuous business meeting, relax in our bar, surrounded by shelves full of tantalising fine foods and wine facing the picturesque inner courtyard. Enjoy our restaurant with its seasonal menu, featuring traditional recipes from Ticino and Mediterranean cuisine, refined with creative twists and prepared with best quality ingredients from the region. During the day, visit our gourmet paradise with our delicatessen, and our shops selling wine and champagne, cheese, bread and pastries, fruit and vegetables, meat and sausages, and surprise your loved ones at home with a delicious present from Ticino.